I made the aux jack modification today, on my 2012 I-Miev, based on another thread found here. Thanks to the original author shifttrans and PV1 who worked out what ultimately was the best modification. You can read their work at http://myimiev.com/forum/viewtopic.php?f=14&t=1761. Since the original thread shows an incorrect wiring method, I thought I'd repost. 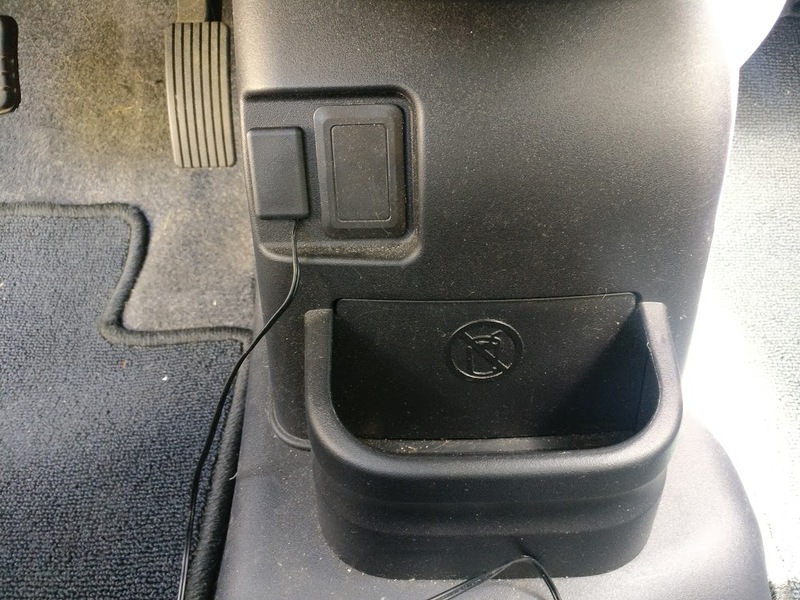 This modification adds an aux jack to a 2012 I-Miev with a stock radio. The modification may work for other years, but I can't say for sure. * Soldering iron, cable stripper, shrink-tube, miscellaneous tools. Step 1: Solder DuPont female jumper wires to L, R and GND of an old headphone cable. Finish wires to protect from shorts. Step 3: Looking at the back of the radio, on the right-side port with the keyed part UP, plug L and R into the top row first and second pin, and ground to the bottom row far lower right pin. Step 4: Power up car, turn on radio and press and hold the CD button to get to AUX Mode. Step 6: Feed cable to bottom of dash as desired. I used the pop-out tab to the right of the gas pedal, and tied a knot in the wire as a strain relief. No modification necessary. Step 7: Reinstall stereo to car. 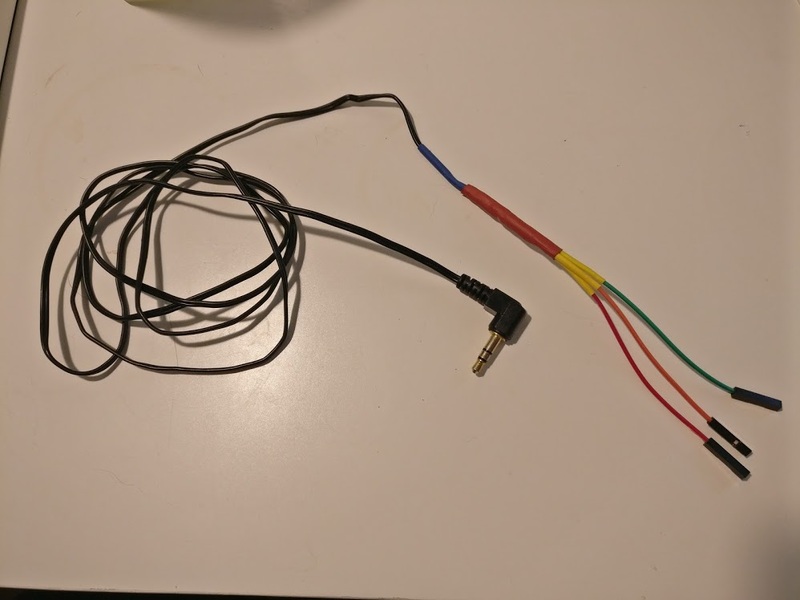 Optionally, if you don't have access to DuPont jumper wires, you can simply solder your wires directly to the radio pins. I like it. So much cleaner than my cable. Since I ended my Android head unit experiment by ripping all that out and putting the stock radio back in, I use the Aux full time for my 1st gen iPod nano (another orphan I own now that Apple only makes the iPod Touch ) and USB for my Lightning dock (iPhone and latest gen iPods). The only thing I don't like about the Aux. function is that it doesn't stay through extended power downs (shut the car off for more than 5 minutes or so and it'll switch back to FM). Something to keep in mind, as aux. inputs tend to be quieter than FM. Very nice! Thanks for the info. Has anyone added a USB port (DIY) so that you can plug in an i-phone? Does the stock stereo recognize an i-phone if you have a USB port? I have 2017 ES with stock stereo no USB port. Hi bradleydavidgood777 and welcome to the forum. Sorry, I don't have an answer for you but hopefully someone will; however, I do have a question for you: is your car indeed identified as a 2017 and not a 2016 US model ES? If you can get a cable, the radio will see the iPhone as an iPod and will work just fine. I even built a dock that fits in the cup holder using the Apple Lightning dock, a block of packing foam, and a short roll of Velcro. Works great. 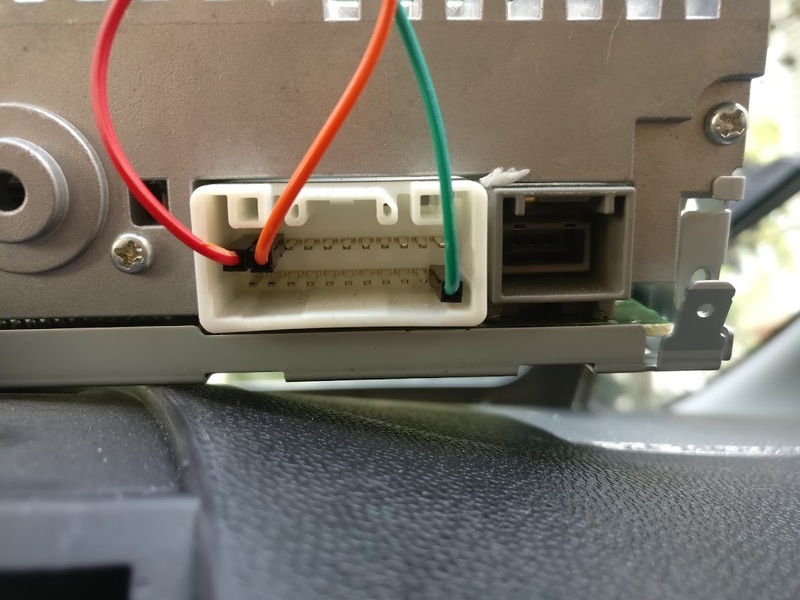 As for building a cable to plug into the radio, a modified USB contact plate will fit, but I had connectivity issues as it didn't have sprung contacts. You should be able to get the OEM cable for less than $100. JoeS wrote: Hi bradleydavidgood777 and welcome to the forum. Sorry, I don't have an answer for you but hopefully someone will; however, I do have a question for you: is your car indeed identified as a 2017 and not a 2016 US model ES? My car was sold to me as a used 2017 ES model. The plate on the door says it was manufactured in 2016. It had 14,700 miles when I initially looked at it and when I drove away after buying it I noticed that the odometer read 450 miles. Somehow the dealership must have reset it. My paperwork all says 14,700. I paid $10,000 cash. Car has no issues. PV1 wrote: If you can get a cable, the radio will see the iPhone as an iPod and will work just fine. I even built a dock that fits in the cup holder using the Apple Lightning dock, a block of packing foam, and a short roll of Velcro. Works great. by a cable, do you mean a 3.5mm stereo cable like in the install above? Or do you mean a usb cable with the ipod/iphone connector on the other end? 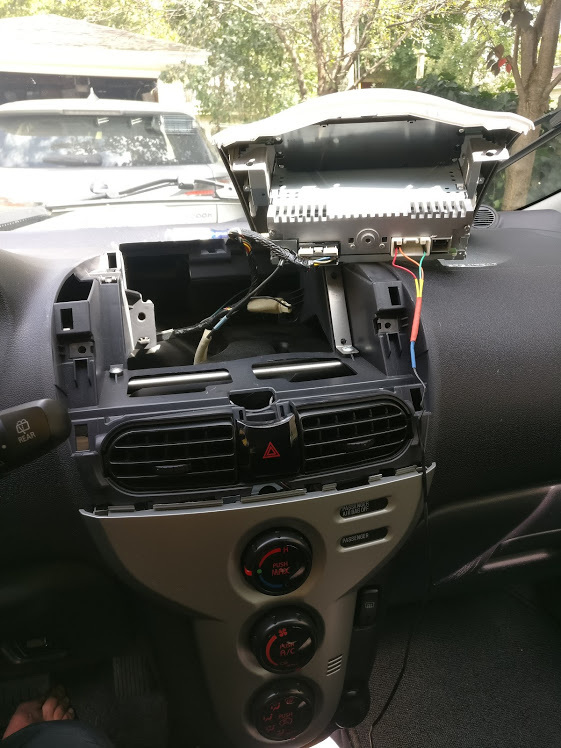 I am thinking of just replacing the original factory unit with a double din stereo and getting a new stereo that has a usb connection that recognizes ipod/iphone. Just trying to weigh the cost both ways and the benefits. If I install a 3.5mm cable, I can't charge the phone with that and the stereo cannot read the music directly, it is a one way thing - play music on the iphone and the stock stereo just plays that music. If i connect to a stereo that has usb to apple connection, the stereo (if equiped) can be used to move from song to song, display album/song/artist info on the stereo and also can charge the phone while connected. Sorry. I meant an iPhone USB cable. The radio will charge the phone and allow you to scroll through playlists, artists, songs, and more right on the dash. Regarding the mileage, maybe they thought the service interval display was the odometer? 14,700 miles sounds about right for a 1st or 2nd service. I'm surprised that you were able to get a 2017 model. There are so few of them it isn't even funny . OK so I could install an iphone usb cable somehow? Or would it be a USB jack (female) installed so that I could plug any USB cable into it? The instructions above show how to install a 3.5mm cable. So is there info anywhere about how to install this USB cable/jack? Other than the stock $130 one?